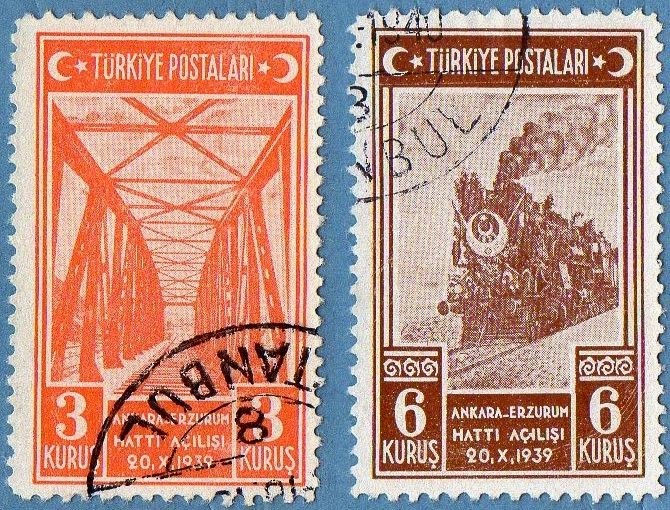 Today I have another of those posts with not so many "talk" and several beautiful, beautiful stamps..some Turkish series from the Ottoman period and 2 others from the Republican Days..
two stamps from the series "Recapture of Adrianople" from 1913 Surcharged in the first case and overprinted in the second..This series in it's original form as 3 stamps with this common design representing the Mosque of Selimiye. 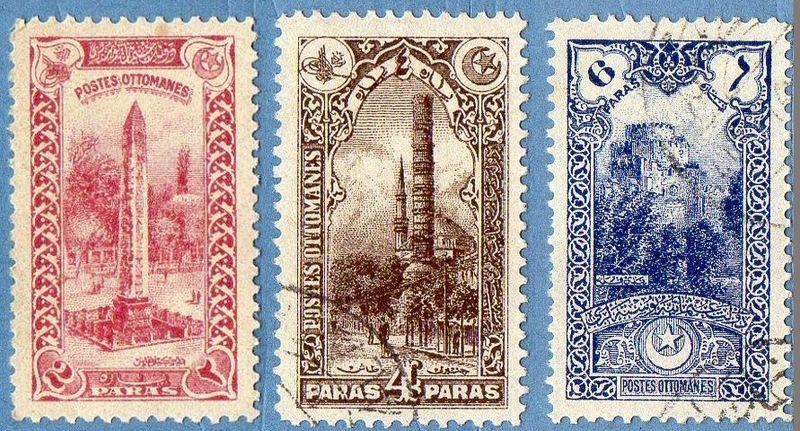 this series was the first one of Turkish Philately to have designed pictures of monuments ,people or Natural Landscapes .. I couldn't find the right Sc codes for the 2nd stamp (I'm sure it is there , but I missed it..).. This is a Magnificent series, with great designs from Oskan Effendi.. 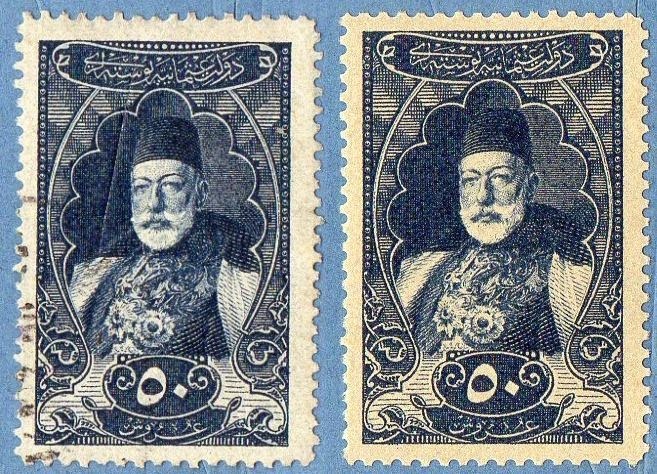 The series is divided into Paras values and Piastra values.. the first 4 values (Paras) are [Litho] Printed and the others (Piastras) are [Recess] Printed .. the series is not completed (4 stamps are missing),because some of the high values are really High!!! Monuments and Landscapes are represented in these stamps with great detail.. I remember you that for a closer view of the stamps, just click them..! the last stamp represented shouldn't be there , because it is not from the desired color.. the value is the same , and the design also, but the color is from a stamp issued in 1920 for another series of Landscapes.. I hope this post increase Your will to collect Turkish Stamps.. Rich History , Culture and nice stamps are always a call to the collector...Enjoy Turkey! !..